The state of New Jersey, in the US, is a beautiful spectacular location in the state of nature. It is 4th smallest and 11th highest populated state in the USA. New Jersey is home to the highest number of Indians, and most of the Telugu speaking people working in New Jersey State. Some residents got doubt Indian vastu for American homes is the same or different. For this, we had given a lot of exposition. Madhav bought a home in East Brunswick New Jersey, after great hunting and enquiry with some vastu consultants, he bought East facing house. On what reasons, you rejected that home Sureshji. He sold out the east facing home and moved to California. Your answer may save many of us here. Please reply - Shankar - Edison NJ. The traditions, rules, and principles were not taken birth in the USA, all vastu principles took birth in India only. Particularly they framed thousands of years back, not now. Many vastu experts recommending residents to buy East or North facing homes. Because of some directional favors to these directions. But those principles are basic principles. Residents should check the advanced and latest research principles which may not fit some superstitions. Our great rushis framed all the rules and many things have been revealed with a divine focus, which the great things cannot achieve by general persons. Without observing surroundings vastu one should not buy any directional home. Without surroundings effects, nothing will be succeeded. We should note this point before buying any facing home. We rejected that home because of two west homes central focus on this east home. In foreign countries, we should count this foyer. This is a mattering part of the house. Some verifying only the East facing homes, but they forget to check foyer, where it is. If the foyer is in the Northeast corner, the results will be varied and if the Foyer is at the Southeast corner or center of the direction results will be diverse. This incidence has happened in New Jersey. We happened to meet a family. When they came to know that we are familiar with Vastu Shastra, they asked us to study their house and make comments. We did know, that no comments of our’s would ever be implemented because the house is built and people were living for more than a decade. In the United States of America, sometimes it may not possible to change the house plans even in a minor way. Nevertheless, to keep up the social etiquettes, we studied the home vastu and made mild suggestions. One of the suggestions was to remove the garbage from the East direction side and keep it clean always. This was not a difficult proposition and they readily agreed to do it. In the internal of the house, no room could be changed. We suggested the change in seating arrangements in the living room which could be done without violating any local laws, that was all possible. We saw the outside of the house. The external neighborhood also influences the house vastu. Right on the corner of the Northeast, an apple plant grew up to about 6 feet height. It was too small by every standard. Perhaps, it was a wild plant grown when apple seeds were thrown out after eating the fruit. This plant growing right in the Northeast was a serious obstruction because around the home there were no other trees or plants what so ever. We suggested this plant be shifted to Southwest. This was too much for them to do. Basically, they asked Vastu more as a social etiquette than a compelling need. We also ignored this matter further. The plant grew the bigger size. Still, it was only the tree around. The owner of the house was in the software industry and developed serious problems in his official life even to the point of leaving the job. The mental tension was too much to bear. He almost decided to quit the job and perhaps look for another one. During this period there was a sort of draught. The outside plants being not cultivated grew only with rainwater. As there were no rains the apple plant dried up by itself. It was thrown out. As this event happened the condition in the Office also changed and he once again became vigorous and active in his official engagements. His state of depression vanished. We learned from this a great lesson. Never to offer free advice. Further, do not offer any comments even on the social platform. For at these moments people are not serious and might miss a sane advice. When advice is free the recipient would be careless and would not follow the instructions faithfully. New Jersey, the state seems to be almost "India," it also called little India. Most of the cities were filled with Indians. When we visited in Some cities we may feel that we are in Hyderabad or Ahmedabad. Many vastu consultants in India needs to visit this place because huge Indian population settled here and they thought that they would get Vastu Consultant appointments here. Instead of doing Vastu Pandit services many were selling items there. One should be careful with Northwest Facing House Vastu when looking to buy skewed properties, residents need to get right suggestions from the Vastu experts only. Most of us thought that Northeast facing house vastu would be excellent, once we visited this link, after that we will reconsider the thought. Don't judge the plot by knowing its direction. Need to check everything then only we have to finalize it. By knowing Southeast facing house vastu properties many residents are move far and searching only for the other directional plots. If this home is good as per skewed rules, then this also become very good. Just by hearing this word Southwest facing house vastu residents are not interested in buying them. But these homes are also giving very good results if it has very good open space in the backyard. Some thought that this South facing house vastu might not be good, but it is not true. Many South facing homes were giving good results. Need to double check the property then only we can finalize the decision. Everybody run to buy this East facing house vastu, don't rush to buy this kind of homes in USA. Have patience, things are not same to same with Indian vastu principles and USA vastu principles. Need to check the property with one vastu specialist and then only buy it. Don't think that West facing house vastu this may be the wrong direction to buy. This may be a farce, we recommended many west direction homes in USA, we never get any complaints, moreover many were recommending us to their friends too. Don't come to one decision by knowing this word North Facing House Vastu, there may be many litigations in this direction. This incidence has happened in New Jersey. We happened to meet a family. When they came to know that we are familiar with Vastu Shasta, they asked us to study their house and make comments. We did know, that no comments of our’s would ever be implemented because the house is built and people were living for more than a decade. In the United States of America, it is not possible to change the house plans even in a minor way. Nevertheless, to keep up the social etiquettes, we studied the home and made mild suggestions. One of the suggestions was to remove the garbage from Eastside and keep it clean always. This was not a difficult proposition and they readily agreed to do it. In the internal of the house, no room could be changed. We suggested the change of seating arrangements in the living room which could be done without violating any local laws, that was all that was possible. We suggested this plant be shifted to Southwest. This was too much for them to do. Basically, they asked vastu more as a social etiquette than a compelling need. We also ignored this matter further. The plant grew the bigger size, still, it was only the tree around. The owner of the house was in the software industry and developed serious problems in his official life even to the point of leaving the job. The mental tension was too much to bear. He almost decided to quit the job and perhaps look for another one. During this period there was a sort of draught. The outside plants being not cultivated grew only with rain water. We learnt from this a great lesson. Never to offer free advice. Further, do not offer any comments even other social platforms. For at these moments people are not serious and might miss a sane advice. When advice is free the recipient would be careless and would not follow the instructions faithfully. New Jersey (NJ) is also called as "Garden State". Most of the place is covered with huge trees, thorough maintenance of public parks, lush green canopies, due to the Government precise greenery maintenance this state got name as "Garden State". Many renowned personalities born in NJ and one of the greatest character is "Thomas Alva Edison", the "inventor of filament lamp" was from this state. In fact his filament lamp was burning for over a century till recently, stunning news, but this is true. It is removed recently only because of the low efficiency of a filament lamp in contrast to other forms of lights. Another Scientist "Einstein" migrated to USA from Germany and settled in Princeton, New Jersey. New Jersey has been pulling people from all over the country and world. It is interesting to note that the attraction was not from New Jersey. People wanted to be in New York or as close to that as possible and New Jersey fulfilled their need efficiently. Donald Trump’s, Taj Mahal hotel is in Atlantic City in New Jersey state. Many of the world publishing houses or headquartered from NJ only. 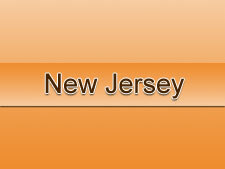 A large Indian diaspora in the East coast is in the state of New Jersey. Newark city there is a temple dedicated to Lord Balaji. Population being comparatively less housing is easier to acquire as also job opportunities. New Jersey is the most densely populated state of the fifty U.S States with a population of about 9,005,644 (2017 estimate). It is found in Mid Atlantic region of the United States. It is the third richest State situated within combined statistical areas of Philadelphia and New York City. NJ is nicknamed ‘The Garden State’ with the motto ‘Liberty and Prosperity’ and majority people speaks English language in NJ. Other languages include Spanish, Chinese, Indic, French, Korean, Portuguese, Tagalog, Arabic, Polish, Russian, and Telugu. The capital of this State is Trenton and Newark become the largest city of NJ. New Jersey bordered North America around 180m years in the Jurassic period. Pressure caused by the collision of Africa and North America caused the formation of hillocks and mountains. Originally, New Jersey was inhabited by Native Americans with the dominant group of people being Lenni-Lenape. The Lenape name for this State was Scheyichbi. The Lenape were hunters and gatherers which they supplemented by maize agriculture. During the colonial era, the Dutch were the first to lay claims of the New Jersey land whose colony of New Netherland consisted of parts of the Modern Middle Atlantic states. The colonists were required to purchase the land which they settled on as per the policy of Lenape, Dutch West India Company. By June 24th, 1664, New Jersey became a territory of England after an English fleet led by Colonel Richard Nicolls moved to New York Harbor and took the control of Fort Amsterdam. New Jersey remained rural and agrarian throughout the colonial era and modernization such as commercial farming developed sporadically. Burlington developed as an important port for shipping to New York and Philadelphia. Settlers moved to this state due it its fertile soils and tolerant religious policy and by 1775, the population had grown to about 120,000. New Jersey today is characterized by ethnic and religious diversity. English Quakers and Anglicans owned large land holdings of about 100 acres while a few rich proprietors owned large estates. During the American Revolution, New Jersey revolted against British rule and hence its constitution passed by 2nd July 1776 two days before the Second Continental Congress declared American Independence from Great Britain. This rendered void any attempts to reconcile with Great Britain by New Jersey. British and American armies crossed New Jersey several times during the American Revolutionary War hence today New Jersey is called “the Crossroads of the American Revolution”. The state has two climatic conditions; humid sub-tropical found in the South, central and northeast parts and humid continental climate (micro thermal) with cool temperatures due to the high altitude. Summers in this state are typically hot and humid. New Jersey can experience “nor’easters” during winter and early spring which can cause blizzards or flooding. 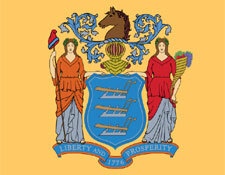 New Jersey per capita gross state product in 2008 stood at $54,699, second in the United States. By 2013, the state had the second largest number of millionaires in the United States. New Jersey has seven tax brackets which determine the income tax rates. As at January 1st, 2018, sale tax rate was at 6.625% on every retail sale except those exempted by law such as most food items prepared at home, most clothing, medications, home use disposable paper products and footwear. The state has the highest cumulative tax rate with residents paying $60b in the state. All real property in the state is subject to property tax unless exempted by law. New Jersey is a home for many manufacturing industries that earn it huge amounts of income. New Jersey is socially considered one of the most liberal states where 60% of the population are self-described as pro-choice although a good number as opposed to the late trimester funding of abortion. In 2013, the New Jersey Supreme Court rendered a provisional order validating same-gender marriage pending a legal appeal by Governor Chris Christie who withdrew the case hours after witnessing multiple equal gender marriages on 21st October 2013. In the past election, the state was a Republican stronghold but has recently become Democratic with Democrats having the majority control of houses of New Jersey Legislature i.e. senate and assembly. In federal elections, therefore, the state leans towards the Democratic Party. Capital punishment in New Jersey was eliminated by Governor Jon Corzine when he signed into law a bill to eliminate the death penalty. New Jersey, therefore, is the first state to pass such kind of legislation. Governor Corzine also signed a bill to downgrade Death row prisoners’ sentences from being executed and so it was changed to life imprisonment with no parole. New Jersey State has multiple venues for entertainments and recreation. Among them are: Prudential Center, Meadowlands Arena, PNC Bank Arts Center, NJPAC, Paper Mill Playhouse, State Theatre, Boardwalk Hall, Susquehanna Bank Center, Sun National Bank Center among others. New Jersey just like any other state has its own cuisine, religious communities, museums and halls of fame. The state is the origin of inventions such as the FM radio, Lithium battery, light bulb, motion picture camera, electric train, and transistors. It has the largest number of Diners in the world. However, New Jersey is the only State in the U.S without a state song. It’s frequently targeted for jokes in the American Culture. Popular Rivers Manasquan, Passaic, Maurice, Mullica, Raritan, Rahway, Musconetcong, Delaware and Hudson rivers. Spiritual Places BAPS Shri Swaminarayan Mandir (Windsor). Shri Swaminarayan Temple (Weehawken). Shree Swaminarayan Temple (Colonia). Shree Swaminarayan Temple (Secaucus). Hindu Samaj Temple of Mahwah (Mahwah). Sri Venkateshwara Temple and Community (Bridgewater). Durga Mandir (Princeton). Sri Guruvaayoorappan Temple. Dwarkadhish Temple. Shree Swaminarayan Hindu Temple (Monmouth Junction). Hindu Community Center (Kearny). Shri Krishna Vrundavana. Ananda Mandir (Somerset)Baps Shri Swaminarayan Mandir Robbinsville, The Great Auditorium, Sri Venkateswara Temple Bridgewater, Saint Katharine Drexel Mission Center and Shrine, Sri Guruvayoorappan Temple Morganville, West Side Presbyterian Church Ridgewood, St. Paul's Catholic Church Princeton, Trinity Church Princeton, Old School Meetinghouse Southampton, Swaminarayan Temple Levittown. Border States New York, Pennsylvania, and Delaware. Tourist Attractions Newark, Jersey City, The Raritan River cuts through the picturesque town of Clinton, Boonton is famous for being a significant link along the Underground Railroad that helped 40,000 slaves escape to their freedom in Canada. Asbury Park - A small seaside New Jersey coastal town, in the late 19th century Asbury Park was a popular destination for fun on its magnificent sandy beaches and fantastic entertainment. Wildwoods, New Jersey, is one of the best vacation spots for families in the United States. Historic Cape May is a sleepy little beach town that offers a wide range of activities throughout the year and is one of the best places to go in NJ. Elizabeth, New Jersey, is the fourth largest city in the state and its roots can be traced back all the way to the founding of the nation. Seaside Heights, beaches would be the main attraction. Cherry Hill is filled with family-friendly activities, and one of the top attractions is the Garden State Discovery Museum – a science museum for children. Liberty State Park-Lincoln State Park in Jersey City is one of the most breathtaking parks in the nation. Its exceptional beauty has as much to do with its lush greenery as with its unique backdrop featuring Ellis Island, the Manhattan skyline, and the Statue of Liberty. The Great Falls of the Passaic River, a National Natural Landmark, is the premier attraction at Paterson Great Falls. History buffs will appreciate the area around the state capital’s New Jersey State House. The New Jersey State Museum is a must-see complex that includes fine arts and natural history collections along with a planetarium. Island Beach State Park is one of the last remaining barrier islands along New Jersey’s Atlantic Coast. Hoboken has the distinction of being named the most walkable city in the nation, but with miles of bike lanes and their Bronze Bike-Friendly status, biking works too. The highlight of Allaire State Park is Allaire Village, a 19th-century bog iron community. South Mountain Reservation sits along the shores of the Passaic River in the Watchung Mountains. Visitors will be hard-pressed to find a more beautiful natural environment than the Delaware Water Gap National Recreation Area. The 1859 Barnegat Lighthouse was illuminated for the first time since 1927. Visitors willing to climb the 217 steps to the top are rewarded with panoramic views of Barnegat Bay, Island Beach, and Long Beach Island. Ocean City is a waterside oasis with more than 8 miles of sandy ocean and bay-front beaches that offer a variety of water activities from stand-up paddleboarding to jet skiing. The Forsythe National Wildlife Refuge, located on the southern coast of New Jersey, is a 47,000-acre refuge designated for migratory birds on the Atlantic Flyway. Most of the residents do not know about the Tri-State Region in USA. The tri-state region includes with New York (City) area, includes 3 states in USA they are: New York (NY), New Jersey (NJ) and Connecticut (CT). Need to know about backyard doors? Who is the best vastu consultant in Texas? Vastu consultant in Bay Area, need consultancy? Which place is best to keep water storage sump? Who is best vastu consultant in West Godavari, need advice? Which plot is good to buy and which direction is best for plot extension? Dear Suresh, first of all I would like to take a chance to appreciate you for the tremendous work which brings light in many lives, doing great services to the society. You are blessed person and coming with my requirement I seen one home which has foyer at North direction and garage is towards inside road of West direction. the north direction is the main road and builder given garage towards west, I heard that, house should not have garage at west direction, is this good home to buy. House is enlivened fashionable. we all liked. are you providing vastu consultant services in elizabeth?. thanks in advance. god always be with you. my best wishes in your journey of reaching targets, good luck.